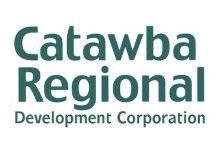 Catawba Regional can assist potential borrowers with a program called Green SBA 504 loan. Green SBA 504 loan allows lending up to $5.5 million per project if the project generates renewable energy equal to 10% of its total consumption subject to additional requirements specific to Green energy architectural certification. Green SBA 504 loans have competitive rates and typically require less equity than a traditional bank loan. Call Randy Pellisero at (803)327-9041 for more information!